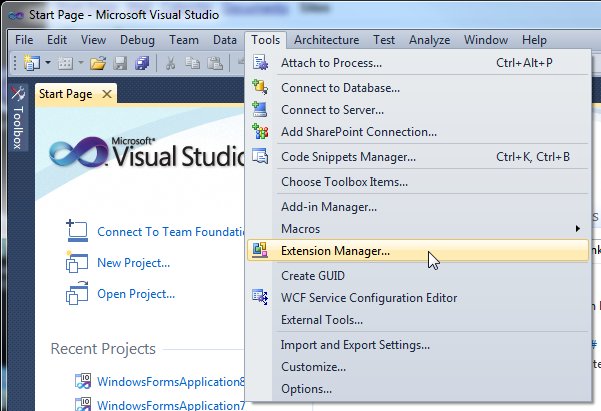 Ryan Linton (a PM on the VS Help Team) has create a neat VS extension that provides a Help Index, Search and the ability to view help topics right inside the VS 2010 IDE. 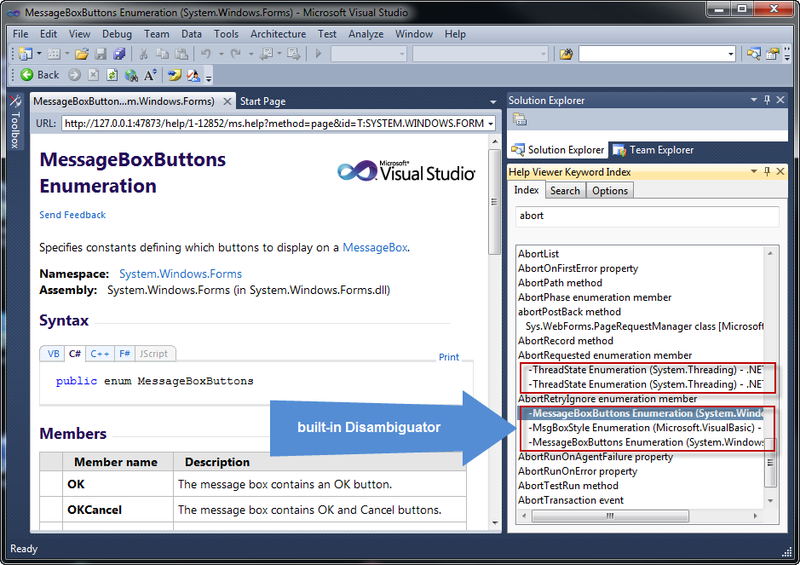 To Install the VS 2010 extension. 2. 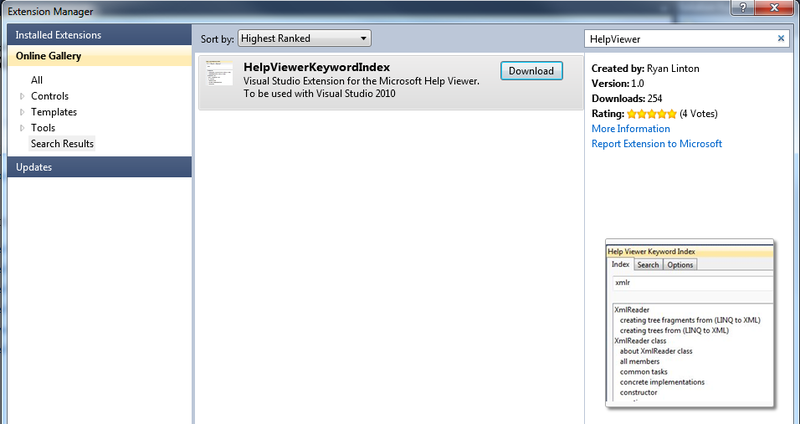 Select "Online Gallery" (left nav) and type "HelpViewer" into the search box (top right). Click Download. 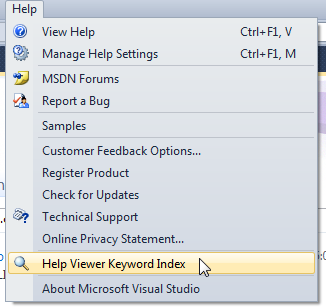 After restarting VS 2010 the Help menu will now contain "Help Viewer Keyword Index". 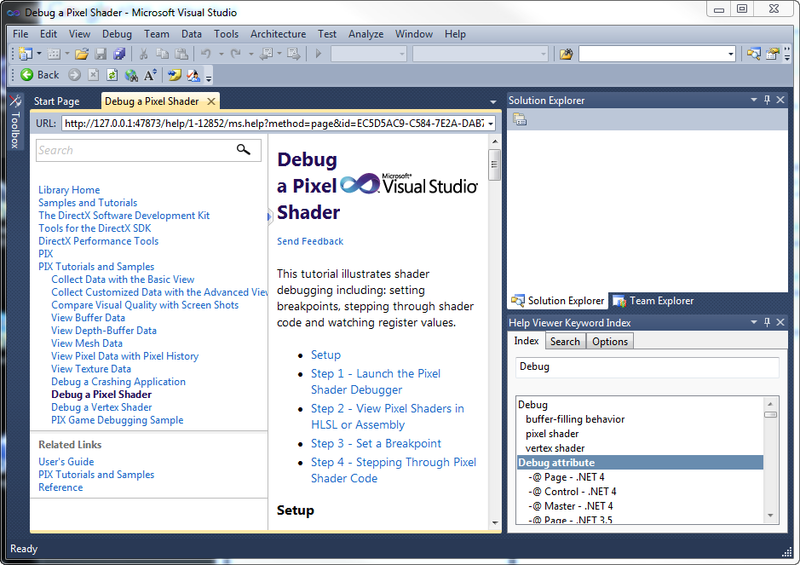 A window appears that you can dock anywhere in the VS IDE. 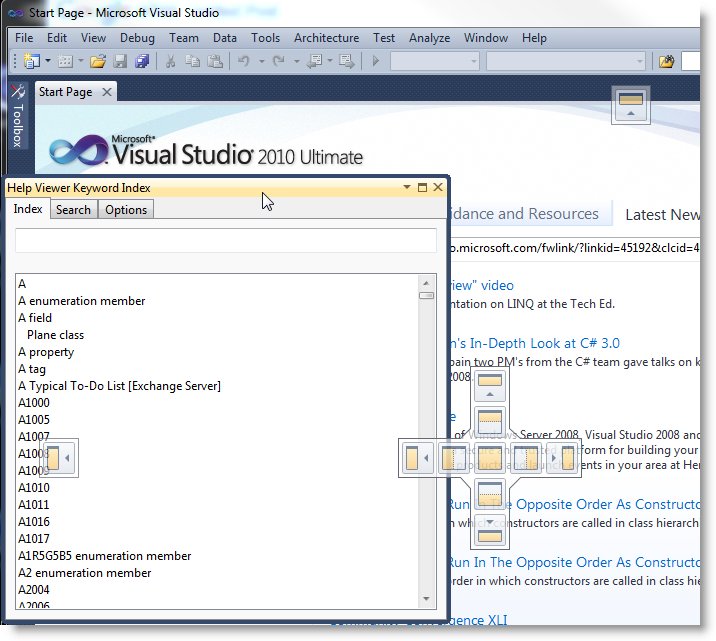 Index items are searched for as you type. 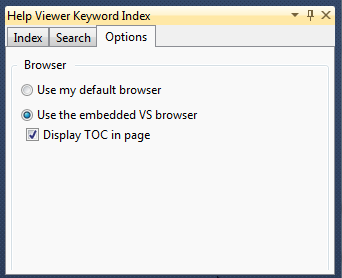 Double-click an index item and help opens inside the IDE. Here's a shot without TOC. Notice the disambiguator results (where an index items has more than one result) are expand in place below the keyword prefixed with a "-" hyphen. 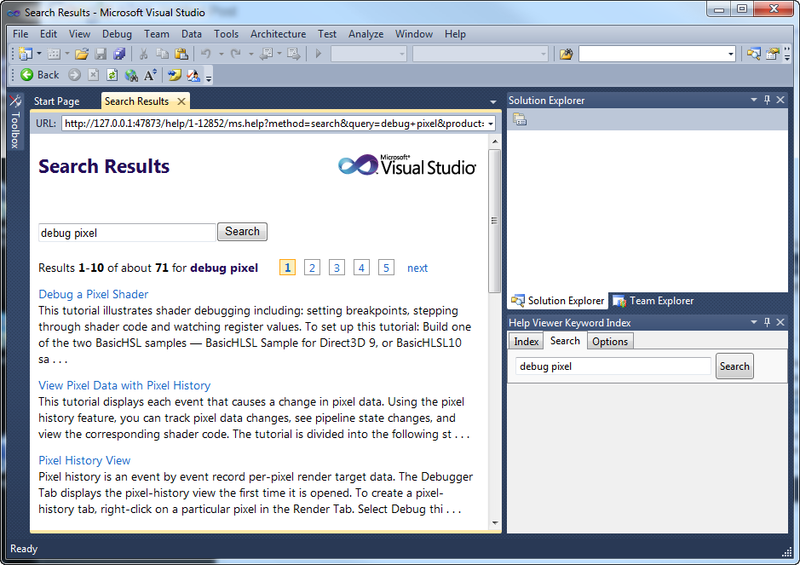 Ctrl+Click items or Search button to open in new page tab (IDE). Shift+Click items or Search button to open in default browser.